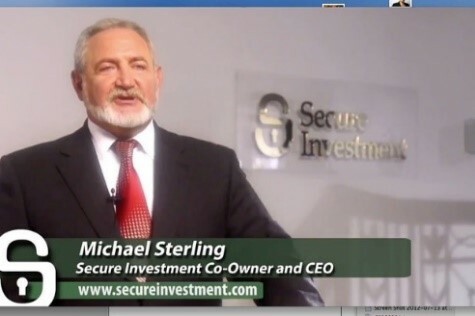 We have all heard of Scams like Secure Investment above, Bernie Madoff and Ponzi Schemes. As Real Estate and Wall Street Investors, we all try to make the most educated decisions possible. Sometimes we go for the grand slam yield and other times we want to just hit a single and make solid returns. Years ago I made an Angel Funding investment in a Social Media website startup before Facebook and lost 80% of my investment. The company had a great idea but executed poorly. I knew the investment was risky and I accepted the limited exit strategies if the company did not acquire additional financing or substantially grow its revenue. Clearly my poor investment was not secure or secured. Avoiding elaborate scams and frauds can be avoided through due diligence, research, verifications, references and common sense. The old saying is, “If it sounds too good to be true, it probably is”. 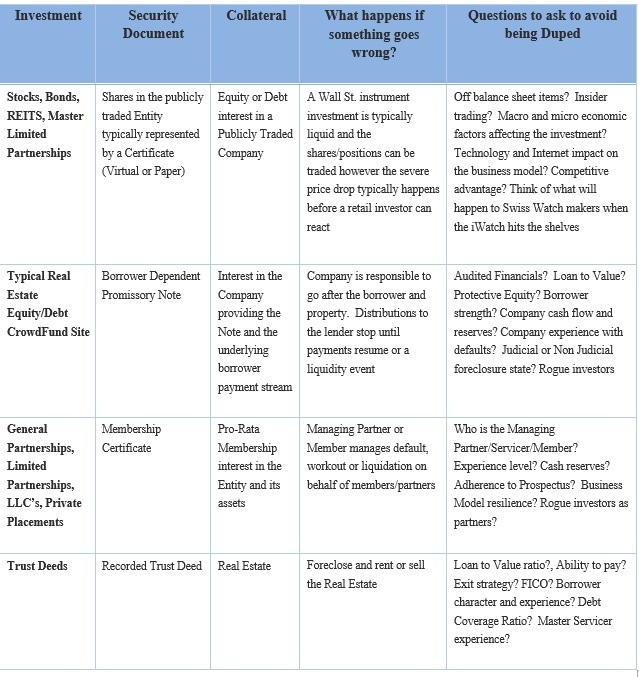 Moving on from Scams and Fraud, today’s Blog also highlights the important difference between a legitimate yet misrepresented “Secure Investment” which might be hyped by a Seller, company or syndicator and a “Secured Investment.” For us in our Trust Deed world, Real Estate Advertising regulations prohibit the use of the word “secure” in our offering descriptions. The main issue to remember is that “Secure” is an adjective that describes the investment. “Secure” is defined by Dictionary.com as, “Sure; certain; assured”. Essentially, the word “Secure” is effectively someone’s opinion. “Secured” on the other hand is a verb and is defined in Finance terms as, “to assure payment of a debt by pledging property. A “Secured” investment means that the investment has valuable collateral available to support and reimburse the investment. Do you have ideas on how to avoid being Duped? We would like to know. 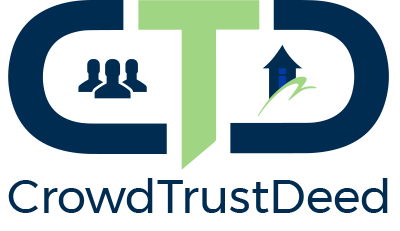 2018 © CrowdTrustDeed. All rights reserved.